I am writing to thank you so much for our space in Ilford House, Oxford Street. I utterly loved my time there and all the people who we shared the building with. A few of us will remain friends, i think in fact! Thank you for everything that you did for us all…. I would like to thank you, on behalf of the board of trustees and members of Oasis of Life church for the use of Marble House. It is not possible to put in words the benefit we got for the use of the facility.You truly became an Oasis of life for us by making available services to service users that would not have been available any other way. Although we are sad to leave, we are grateful that the facility has been put to very good use and will continue to be used until the last minute. When the story of Oasis of Life church is written, it will not be complete without mentioning what you did for us by offering this office space. We are so grateful for all the help and support your office has given us. We couldn’t have done it without your help. My warmest love and gratitude to everyone including the landlord. 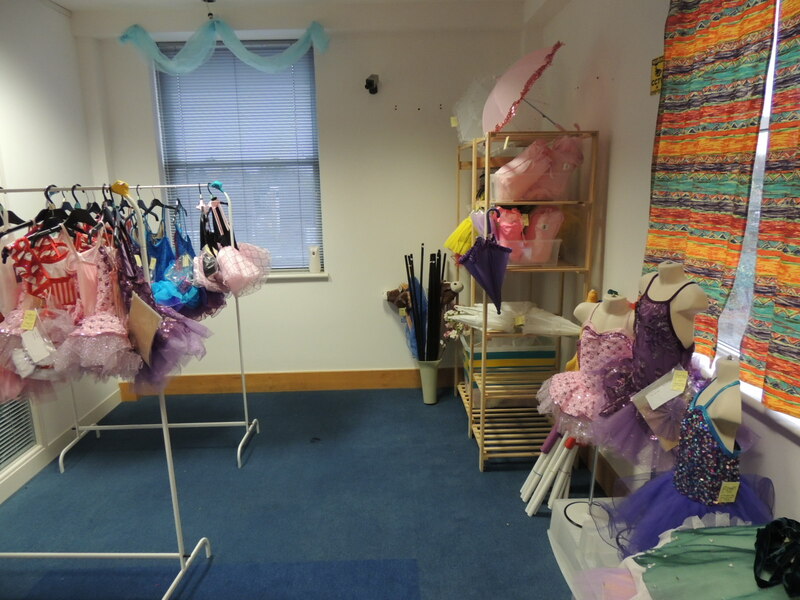 For the last 2½ years, Smalls for All has been lucky enough to use an empty warehouse for storage, thanks to the generosity of Centric Community Projects. Our thanks to Centric for enabling Smalls for All to grow to a point where we’ve now distributed over 730,000 items of underwear to women and children in Africa. CAME Women and Girls, Brentford. On behalf of Came Women and Girls development organisation, I would like to express our sincere thanks for giving us a free storage space in Brentford. Through the use of the storage we have been able to store and ship things to Cameroon and we will make material donations to vulnerable communities in Cameroon in the next few months. 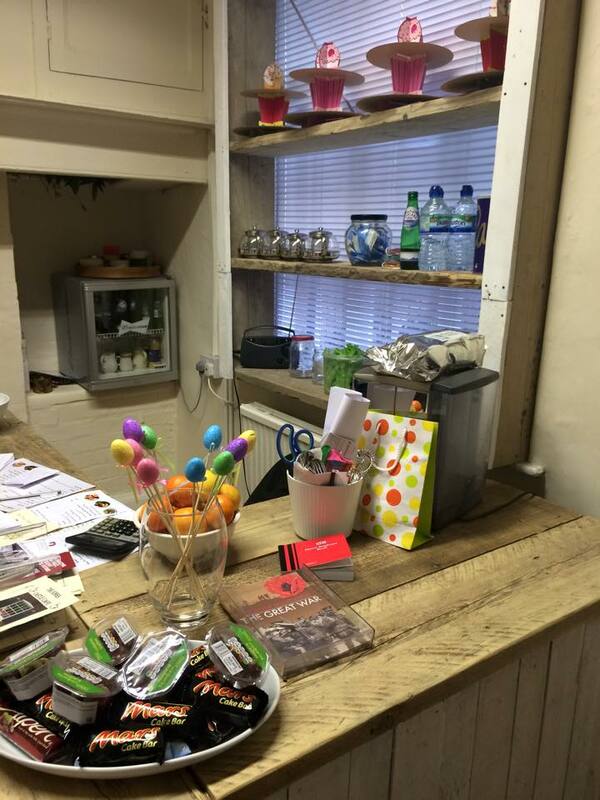 In London, we have been able to provide material support to 6 women in the refuge and to 6 homeless persons. As you know, it is difficult for small charities like ours to raise money for rent. We estimate that the value of the free space you gave us should be £500 per month x 6 months = £3000. Because of Centric, we can keep helping disadvantage people both here in the UK and abroad. Support from caring organisation like Centric has helped us make up for cuts in grants and local government funding. Your support has had a greater impact and will change people’s lives. We are truly very grateful to Centric. The premises continue to make a huge difference and benefit for us. 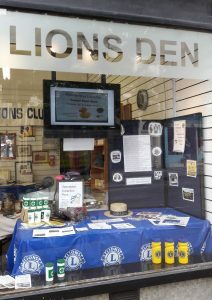 We have gained volunteers and members for our Lions Club, met many local people and provided a point of contact for the community. We have also sold donated goods and raised funds that go back into the community. Thank you for your support in this project. Thank you so, so much. I am delighted that will we now be able to run far more efficiently and help more people in need. Your support is so very much appreciated. We are loving having so much space to store all The Baby bank donations! Its so much easier than our previous space which now feels like a broom cupboard! Nottingham Central Women’s Aid, Nottingham. 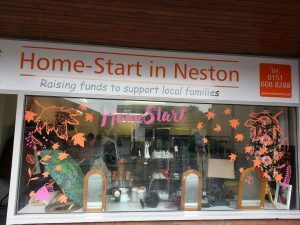 Thanks for all you have done to support us – we’re taking away lots of learnings from this tenancy and hope to open a charity shop in a more permanent location in the future. Julie, lovely to see you today and so exciting to see the new offices, we are thrilled and excited, thank you. Thank you to both of you for making this happen. I know you probably hear this a lot, but I am so very very grateful. 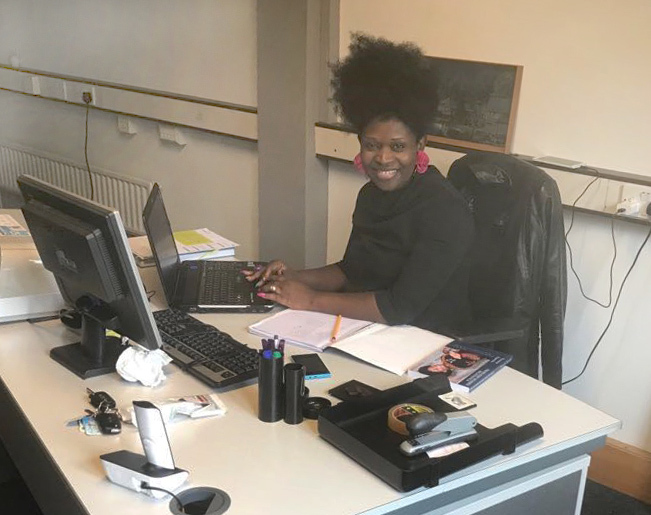 Office space is one of the most vital things for charities to help us do our work, and it’s also one of the biggest expenses – an expense that bizarrely funders don’t seem to like to pay for!! We rely heavily on volunteers, and they need somewhere to come to work – so what you are offering me is truly a life saver. Dear Centric, we remain ever so thankful to you for what you have done to help us settle down and pray that you grow everyday. Your professionalism, people’s management, amazing customer services, charity skills, and patience go a long way especially with organisations like Rosa Verla that have come a long way. God bless and reward you. We are learning everyday and with this massive help from Centric we see so much brightness to come in our journey to fight poverty in our communities. Thank you once again. Long live Centric UK. Dear Julie, it was very sad leaving Coventry Point but thanks to you and Centric we had 3 very happy years there. Best wishes, Frances Sahara (Coventry) Ltd.
Southwark Arts Forum, Milton Keynes. Hi Julie, Please convey our thanks to your trustees, the service Centric provides is brilliant and came as a real lifesaver for us at that time. Thank you, Julie, for all your help and support. Very best wishes, Bridget. Thanks so much Lauren! All went very well today with moving more items into Tenter House. I shall send some pictures of the set in situ. Thank you again and very best, Joe. Thanks for the encouragement! 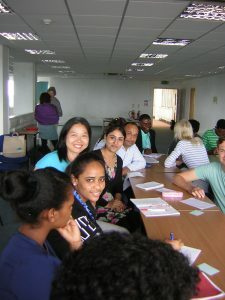 We’re mostly using our space as an office but have had some ‘Welcome to the UK’ workshops for people who’ve recently arrived in the country. People love the space when they come in. Thank you so very much for all your help and support. Centric changes and touches so many lives and makes it possible for the invisible to be seen and heard. Without their support, organisations such as ours would not exist nor be taken seriously. Directly we estimate that we have affected 11,890 people as a result of having free space with Centric. Indirectly we affect thousands of people through our website, collaboration with other organisations, changes in policies surrounding FGM, sexual health and safeguarding. We sit on the Birmingham against FGM board and we were the first organisation to directly participate at the Coventry FGM conference and sit with the MP’s to share experiences and community needs. We work in collaboration with the West Midlands Police and without Centric, this will not have been achieved. The trustee board and staff would like to thank Centric Community Projects for your very generous support with the rooms at Marbel House this past two years. Your willingness to support Stepping Stones has enabled us to change and benefit the lives of our service users by being able to accommodate training opportunities and meetings and offer a quiet drop in space away from the counselling environment. For this we have been truly grateful. With childhood sexual abuse being so prevalent in the media, our services are more so than ever being accessed by adult survivors from all walks of life and frankly, we could not do this valued work without organisations such as yourselves and your ‘community spirit’ and kind support of our organisation. Again, a big thank you from all of the team at Stepping Stones. 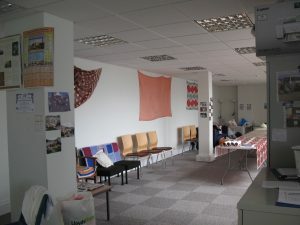 Coventry Refugee and Migrant Centre. Coventry, West Midlands. We are benefitting from our space at Coventry Point with a variety of uses – classes to teach English for Speakers of Other Languages, therapy services and other sessions for clients, volunteers and staff of the charity. 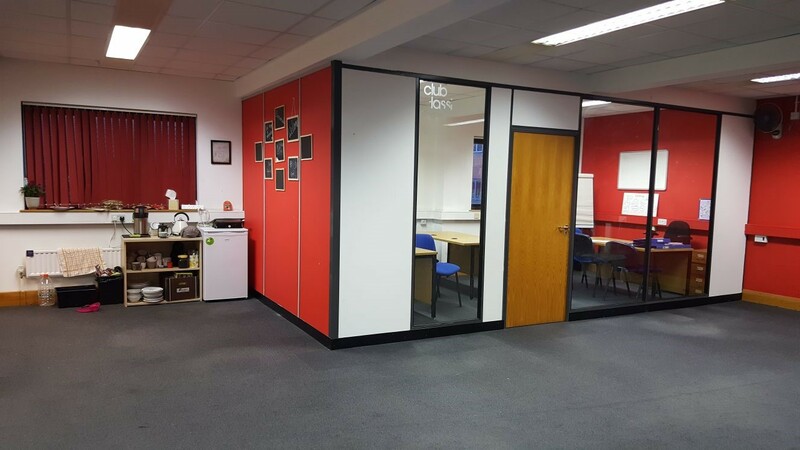 The space makes an important and valuable contribution to the services we deliver. Community Rainbow Genies. Basildon, Essex. Thank you Centric & Swan Housing Association for providing the space where we can show up & make a difference which gives hope to people. Community Rainbow Genies provides Feel Good projects that shares a simple understanding of The Three Principles of innate health showing us how we work which changes how we think & feel about ourselves. People’s lives change as anxiety, stress & depression become a memory that no longer affects people. Thank you for giving us the opportunity 💜 We are so very grateful. Girls Empowerment Initiative. Basildon, Essex. Your work is so essential. Girls Empowerment Initiative appreciates your support. Centric Projects helped us to find a great space to do our work and the support has been overwhelming. Thank you so much. 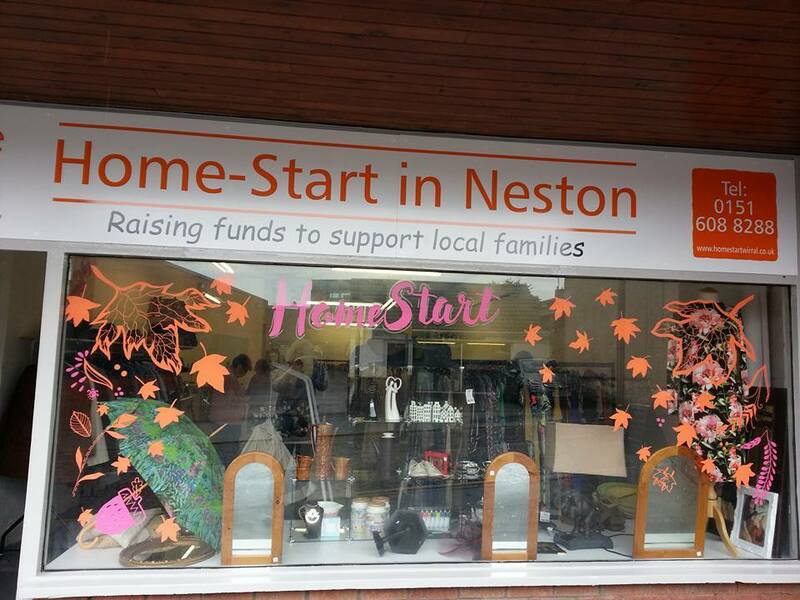 Home Start Wirral. Neston, Cheshire. Another great day in our new Neston shop. 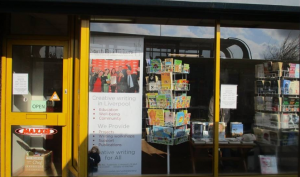 We have some marvelous new volunteers on board thanks to Tesco, Elephant Coffee Shop, Neston Library and Neston CYC for displaying our posters to helping us recruit them. And thanks of course to Centric for giving us the chance to set up our shop by providing the property. 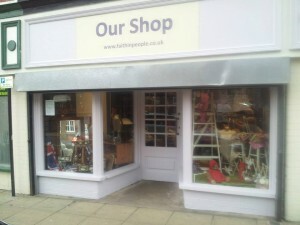 As one customer said today “It’s lovely to see this empty shop come to life at last”. The Underground Theatre. Plymouth, Devon. On behalf of The Underground Theatre, and also personally, I would like to thank you most sincerely for your help and assistance in securing the tenancy on the property in Plympton for ourselves and WheelFever Projects. 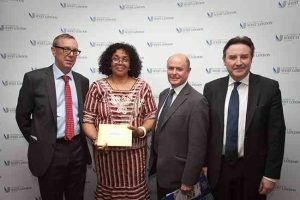 You went far beyond what was necessary in guiding us through the necessary requirements and showed great patience as we endeavoured to find a partner organisation. 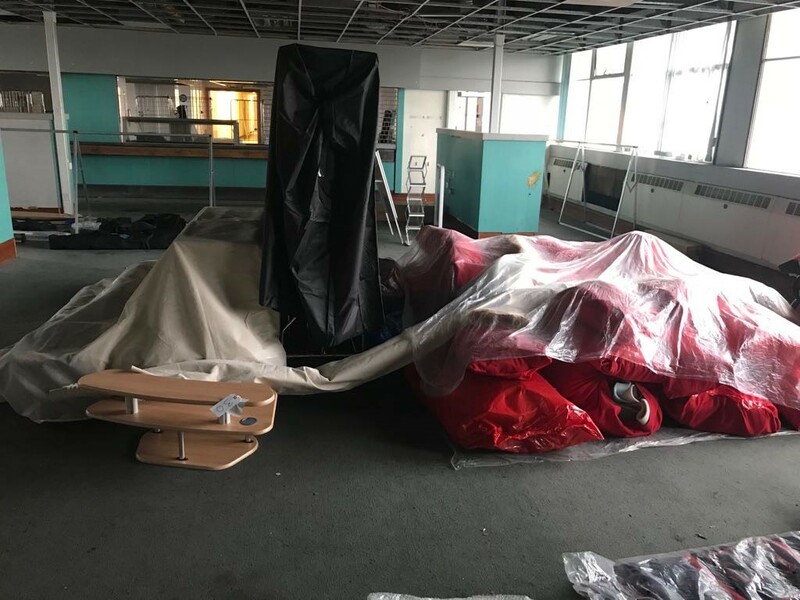 For a small CIC with very limited funds, this space will be immensely helpful in helping us to have a central space for administration, meetings and all the associated work required as we fundraise for the renovation of the Theatre and to get it open in 2018. In conjunction with Wheelfever we also hope that having this facility will open up opportunities for other non-profit arts groups in Plymouth by being able to be a central contact point and have the ability to host small meetings, once we have established the most mutually beneficial working arrangements with Wheelfever (a partnership which will be greatly enhanced by sharing an office space). All in all, the opportunities that you have enabled through Centric are likely to be far reaching. Without your help we would have not been able to achieve this, so, once again, thank you! The Listening Post. Basildon, Essex. We at the Listening Post are extremely grateful to Swan Housing and Centric Projects for coming together and enabling us to have a base at Laindon Centre. By being at the centre, we are able to offer counselling services directly to the local community, ensuring accessibility to everyone. whilst also raising awareness of Mental Health issues. 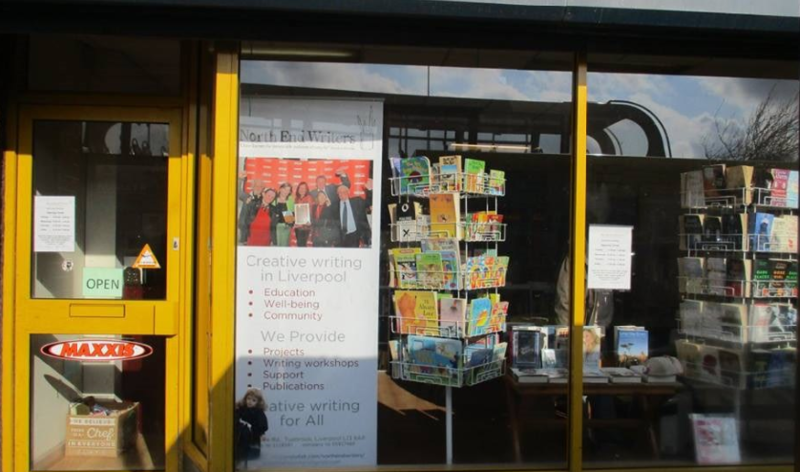 By having the different local organisations within the centre, it has in ways given the centre back to the community by offering different services in one area, bringing a new buzz and life back to the centre. Southend Association of Voluntary Services. Southend on Sea, Essex. The opportunity to use space in Westcliff-on-Sea free of charge has been a huge benefit to our organisation and our ‘Turning Tides’ project, allowing us to store materials and create our center piece for the children’s carnival float. All this work came together recently at the Southend Carnival held 19th August. The children’s entry float won the Sponsors Award, so we are very proud of the children’s work and effort. Thank you Centric! On behalf of Age Concern Okehampton, I would like to express our thanks for the support we’ve received from Centric. Having the better premises was a huge boost to us and we are extremely grateful. 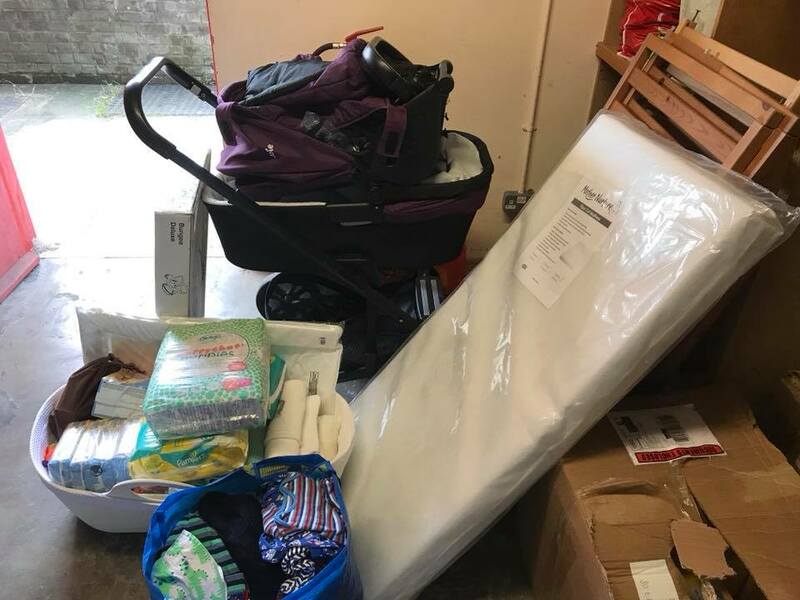 On behalf of Came Women and Girls development organisation, I would like to express our sincere thanks for giving us free storage space at 120 Bridge Road Chertsey. Using the storage, we have been able to store and ship things to Cameroon, have made material donations to blind children in Buea, helped women living with disability and HIV/AIDS in Douala, assisted orphans in Limbe and Kumbo as well as helping the poor communities in Cameroon. We have been able to provide material support to 12 women in the refuge and to 5 homeless persons. In Cameroon, we have developed opportunities for poor women to continue with their education through scholarships, material and social support by promoting the continued education of young girls and women to become valuable contributors to their families and communities. As you know, it is difficult for small charities like ours to raise money for rent. We estimate that the value of the free space you have given us is worth £500 per month over the last 30 months = £15000. 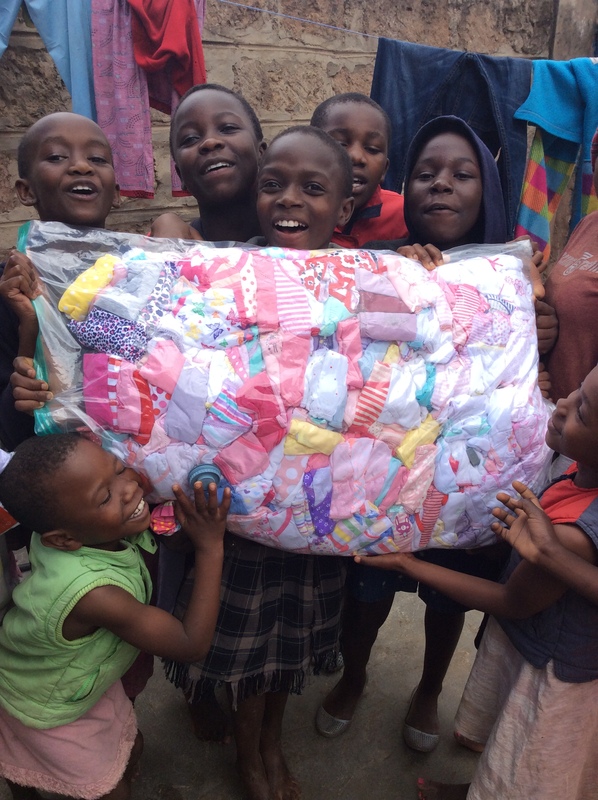 Because of Centric, we can keep helping disadvantaged people both here in the UK and abroad. Support from a caring organisation like Centric has helped us make up for cuts in grants and local government funding. Your support has had a greater impact and will change people’s lives. We are truly very grateful to Centric. We could not have done this without Centric’s support. We, and all the disadvantaged people we serve sincerely appreciate your generosity. I am writing to say THANK YOU for the service Centric have delivered to our charity Help our Homeless MK in providing us with our first official home! As you know we needed a place where our clients can ‘drop in’ during the day to have a cup of tea or coffee, put their feet up and take a break away from the elements for a few hours reading a newspaper or just generally chilling. We know that if we offer this service – we can also start to build upon the already strong relationships we have with our MK Homeless and undoubtedly now take huge steps forwards offering further support and assistance to enable them to improve their conditions and circumstances. 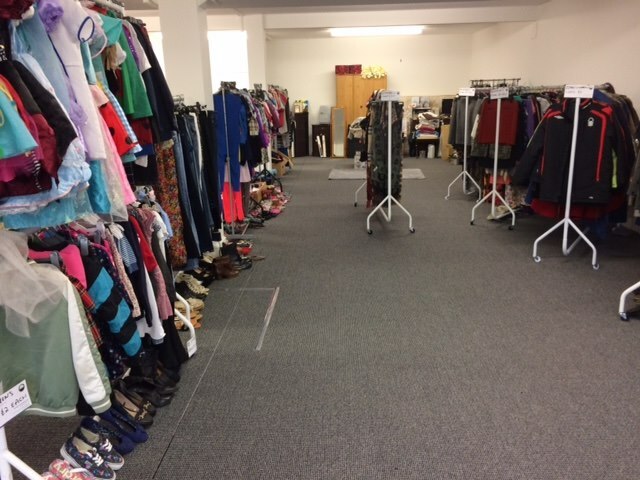 In addition to this fantastic space we now have all in the same location, at long last, a big enough storage space for all the kind donations of items of clothing, sleeping bags, tents, shoes, hats, gloves, sleeping bags, etc etc. This is a wonderful break through for us as we have relied upon our volunteer’s garages and sitting rooms up to date. 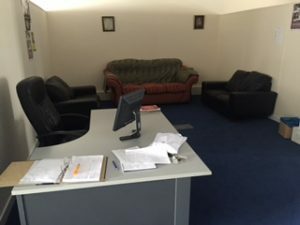 Now we can also take furniture donations and other household items, so that when we are able to assist a client into their new home (as we are doing this week) we have the capacity to provide them with as good a start as possible. You have given us a proper office where our team can now ‘go to work’ and progress and develop our service in a business-like environment. 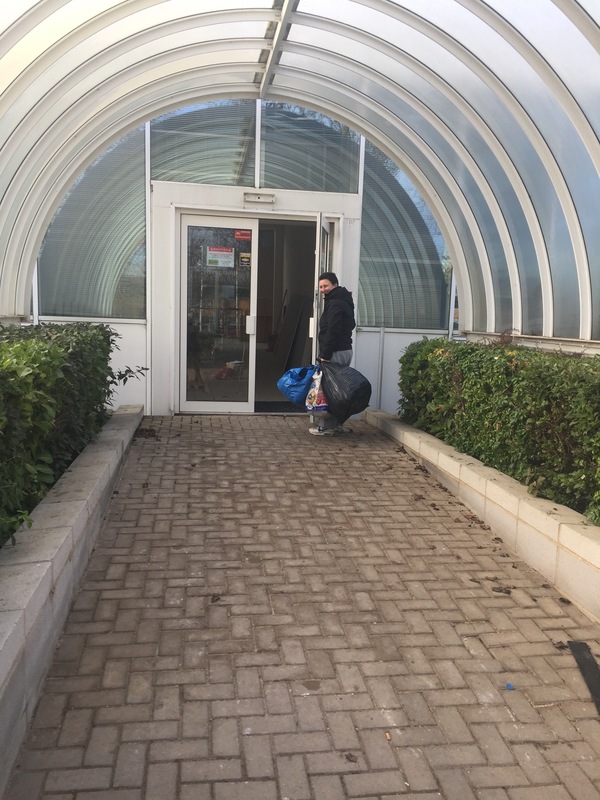 Above is a picture of Laura opening the door yesterday carrying in the first bags of donations for sorting and storing in our new space…. The team have already started to make full use of the new premises. Please also pass on our thanks to Hannah and the rest of your team – and of course the landlord/owner of the building without whom this would not have been possible. 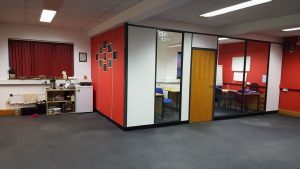 When I was initially approached, by Centric Community Projects, about the space in Chertsey, I had no idea that such an incredible opportunity existed for charities, especially small charities like myself. 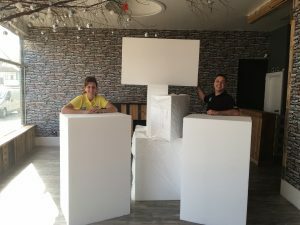 I was overwhelmed with their generosity and struggled with how best use the space as my aim was to take advantage of this gift in the most optimal way in which my charity could benefit. I saw others using it for storage or the occasional meeting, but knew that I could transform this blank canvas into something spectacular. And something spectacular is what it has become! I created ‘Suite 109’ (my initial room assignment number at the Bridge Road location) which is a pre-loved dancewear, drama and theatre wear, fancy dress and accessories shop filled to the brim with donations of unwanted/unused items and supported by those seeking to purchase these treasures at a discounted price. 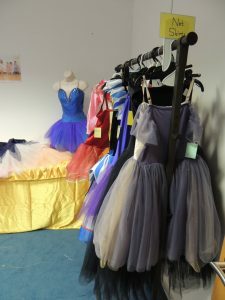 Having 4 daughters who have danced their entire lives, I was keenly aware of the hordes of pre-loved costumes filling lofts all around the country as well as the exorbitant cost, to parents, of purchasing new. 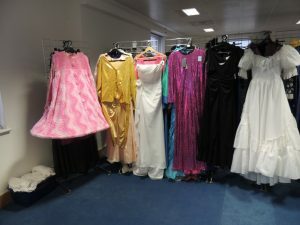 I noted the importance of recycling these items while allowing the charity to benefit from the proceeds. 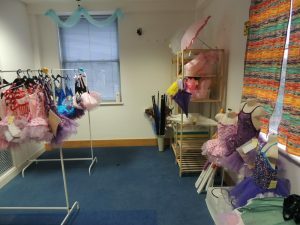 I started the shop with a small handful of personal costumes and just a short time later, as the word was spreading, I required more space. Centric accommodated my new needs and let me move to a larger unoccupied room upstairs in the same building. 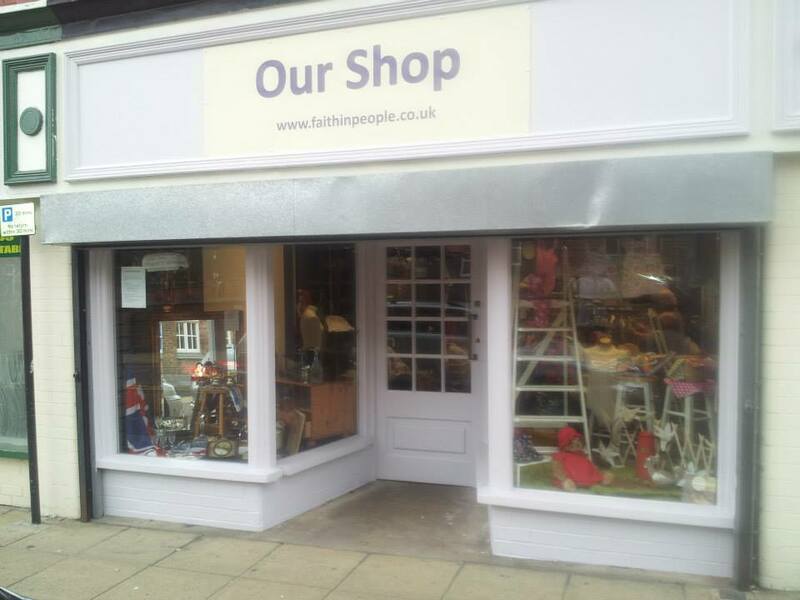 I now boast a ‘proper’ shop containing over 4000 donated items and have earned upwards of £5000, for the charity, in the past year! 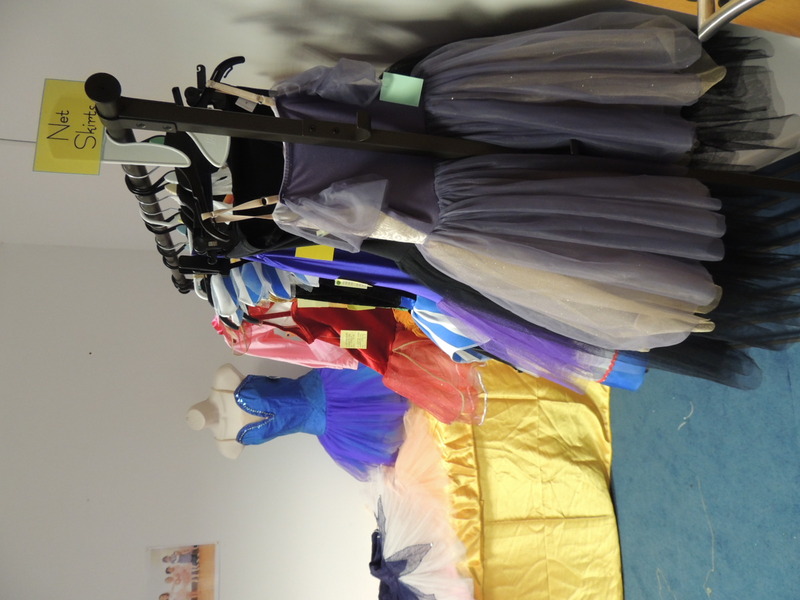 I sell online as well as onsite and have even been invited to take Suite 109 on the road to local dance festivals and Christmas fairs. People across the country are now aware of the charity mainly because of the popularity of this shop. I was only able to take this leap because I knew there were no negative repercussions, commitments or financial strain and I am indebted to Centric for providing me this ability to try. I am eternally grateful to the lovely people at Centric for reaching out to me and for their kindness and incredible generosity in offering ‘Peterson’s Fund for Children’ truly an opportunity of a lifetime. Since launching the Café, we have been amazed at the level of local support. It has given us the ability to sit down and talk with people about HIV and our work supporting local people and their families. We have also opened the café free to local groups to hold meetings and gatherings, we also run our own “Memory Café” for people with and those supporting people with dementia. The Cafe has created a fantastic opportunity to sit with potential donors, in an informal setting. Instead of handing out flyers that most people stuff into their bag or throw away, most will read them in full whilst they drink their coffee. It also enables us to tell them about our charity shop next door, often they will go and have a look around after they have finished their refreshments we are also seeing that the regulars will 9 times out of 10 bring donations on future visits to the café. The tables and chairs that are used in the café have been repaired and restored by our volunteers in a ‘shabby chic’ style, and are all available to buy. We are expanding our range of takeaway foods which will include Jams and deserts sourced locally. We will even sell small gifts and momento’s. All of this allows us to generate an additional income, reach out to and work with the local community and do something unique as we are the first community café of this kind in the area. 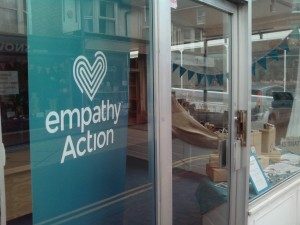 It is with gratitude I write on behalf of Empathy Action for the past 10 months of being able to stabilise and grow the freshly incubated charity that we had just become last July. We have greatly enjoyed being able to use a property like this for this past period. It has come at a critical time in our development and allowed us to achieve so much. Where we are today we could not have achieved without “community big sister” like Centric and especially the staff for being so helpful, accommodating and kind along the way. Thank you once again for all your assistance to Empathy Action. Please stay in touch and we shall keep you updated too. As a small, but busy charity we found ourselves with a lot of “stuff” taking up valuable space in the office. Some of these things were clearly destined for the rubbish or recycling bins but some of it (such as records and other paperwork) we need to keep. Unfortunately storage facilities aren’t cheap and as a charity we have to keep a close eye on our funds. Which is why we were thrilled when Centric Community Projects offered us free storage in their Southampton facility and we jumped at the chance to have a good clear out. We’re not sure all of the staff agree, but we think that having a spring clean and moving some boxes around is a great team building exercise! We would like to say thank you to everyone that helped us with “The Big Move” and thank you to Centric Community Projects for giving us the storage space. Golden Lab Studios was set up as a non-profit music and arts hub specifically to cater to individuals creating non-hegemonic works of art. It began with the record label Golden Lab Records, which releases music by ‘outsider’ and otherwise off-radar artists, and gives a necessary platform to those making music and sound art that would otherwise struggle to see the light of day. We moved into the fourth floor of Mauldeth House in February and set-up a recording studio, where we have since made two full albums: ‘Interpenetrating Dimensional Express’ by 8-piece Manchester free-rock collective Desmadrados Soldados De Ventura and ‘Switching Centre’ by three-piece improv group Chalaque, both of which were released on vinyl to rave reviews in the underground press. We are currently also working on a new LP release for Manchester improv guitarist Tom Settle, which will be released in September of this year. All of this has been done for absolutely no cost to the musicians, which means they have been able to carry out their art unimpeded by financial constraints. I addition to musical activity, we are also carrying out a huge amount of work in the visual arts field. Our free space in Mauldeth House gave us, first, the room in which to screen print, dry and cut out the hand-made covers for the Chalaque LP release and all future records produced will be completed in the same way. it has also allowed us to create a huge body of papier-mache sculptural work for an upcoming exhibition of papier-mache works in Glasgow (with a second event in Manchester on the horizon) and we are also running a clay modelling workshop where individuals can come and learn how to sculpt, glaze and fire their own earthenware. In addition to this, the space is currently housing a free-to-the-public exhibition of works by Detroit, USA based ‘outsider’ artist Thelonius Bone, which has had a great deal of footfall in the month it’s been up. This has encouraged us to put together another exhibition, this time a group exhibition, which is still in development. We now also house our very own jewellery making workshop within the studios. The future will see us collaborating with several external charitable organisations to offer arts workshops to their services users. This will not only have a positive effect on those communities, but will also give us a funded income that will enable us to continue making our works of art without having to worry about the cost of doing so. In short, Mauldeth House has been an absolute blessing to us and we cannot thank Centric enough for all its help in enabling us to achieve the huge amount we’ve achieved in such a relatively short space of time. Long may the project continue!